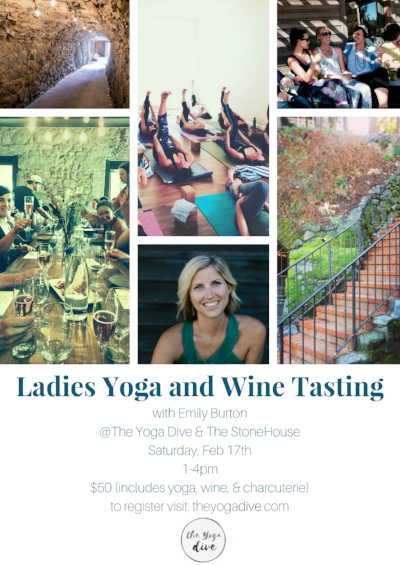 Join us at The Yoga Dive for Ladies' Yoga and Wine Tasting! We'll have an afternoon of ladies' yoga followed by time together for wine tasting and charcuterie. We'll yoga first, and then walk across to the beautiful Stonehouse where we can relax, connect, and enjoy some of the finer things in life--we deserve it!